When the sun shines in Brighton, there really is no better place to be but the beach. 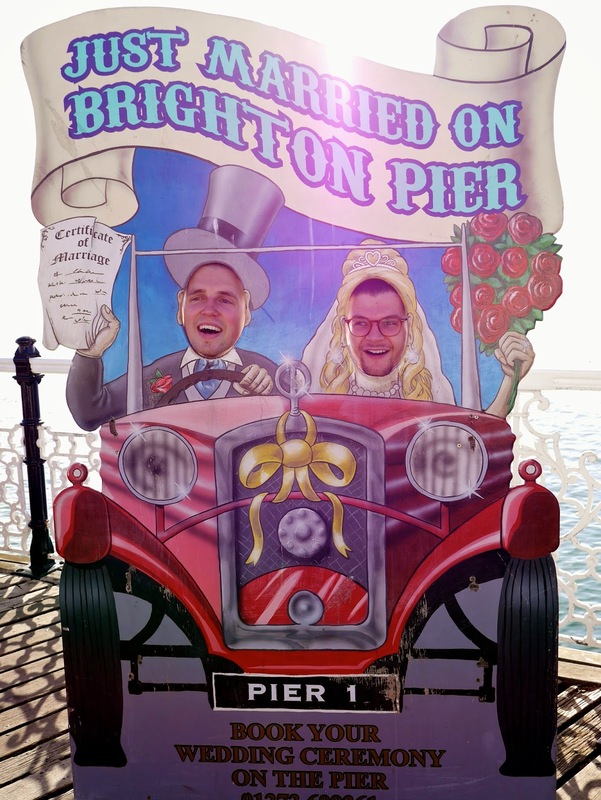 Usually I would take a walk along the promenade or sit and bask in the sun on the pebbled beach but the other day while Jim and Tanya were down to visit we decided to show them the Brighton Pier. 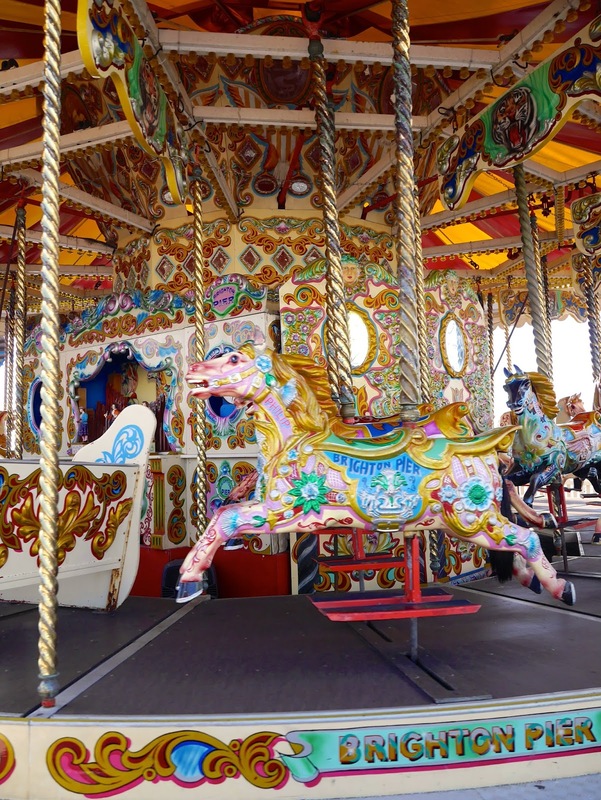 Being at the pier was like going back in time to my childhood! Everything reminded me of sunny weekends as a child; the smell of donuts being freshly fried, the sound of the seagulls flying overhead, the gaps in the decking with the sea below that I used to jump over because I was scared to fall through. Brighton Pier isn’t really anything special compared to other places, but there’s something so ‘Brighton’ about it that you just have to go at least once (especially if you live in Brighton!). There’s the rides at the back that we went on – the Waltzer used to be my favourite but it was closed on the day we went. I also loved the Twister where you sit in a cart that spins you round and round in circles! After we felt sick and dizzy from the rides we went into the arcade where we played air hockey and played on the coin machines. It was such a great day with some great friends.